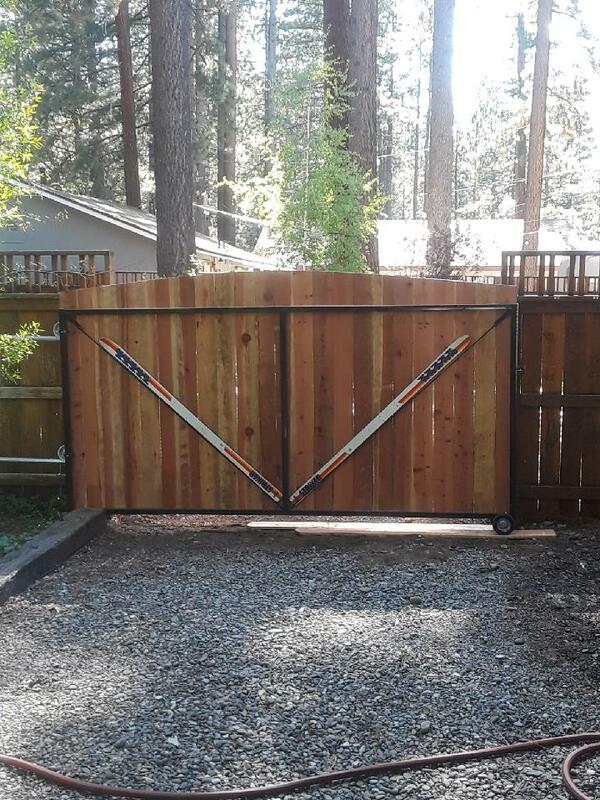 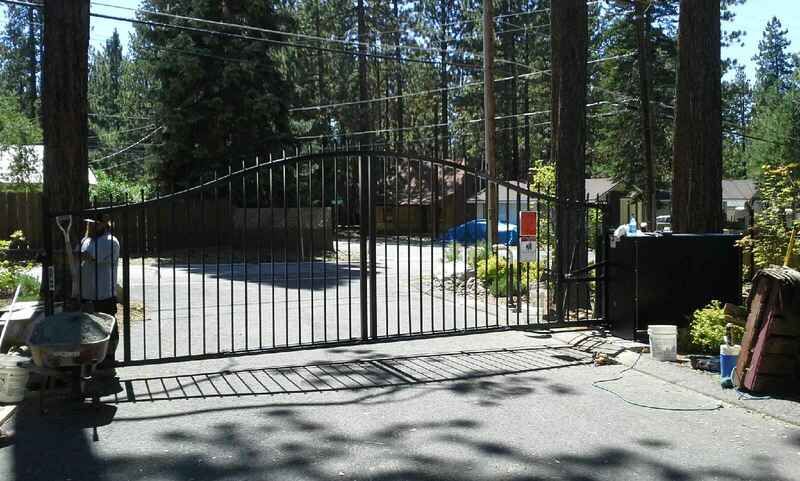 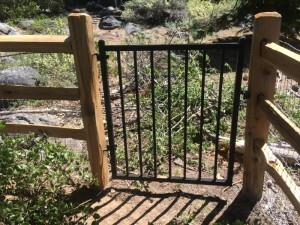 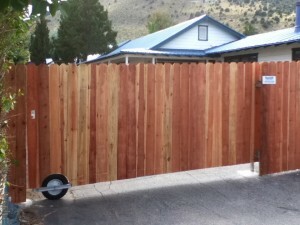 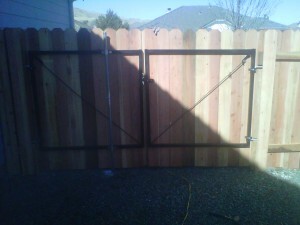 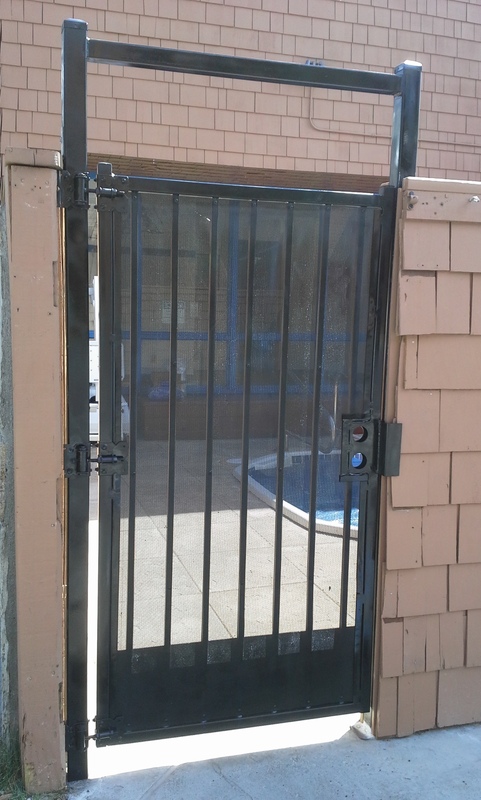 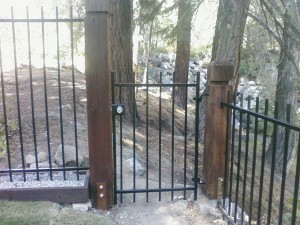 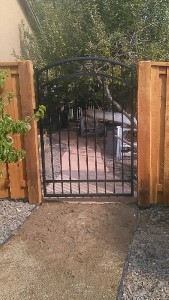 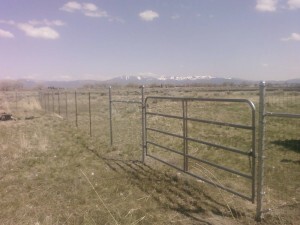 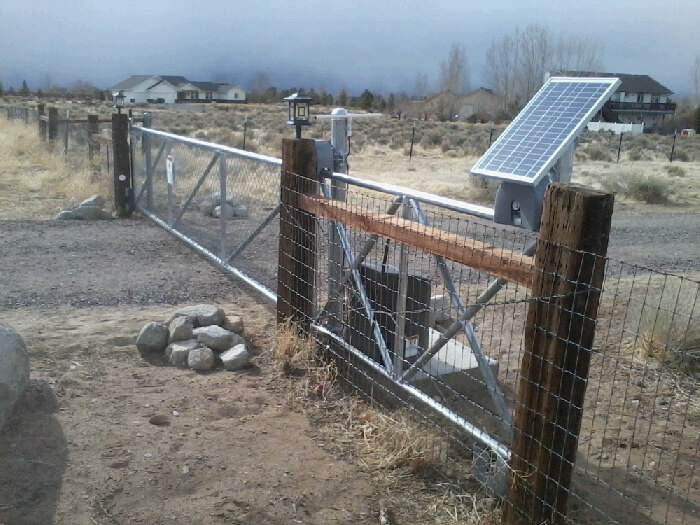 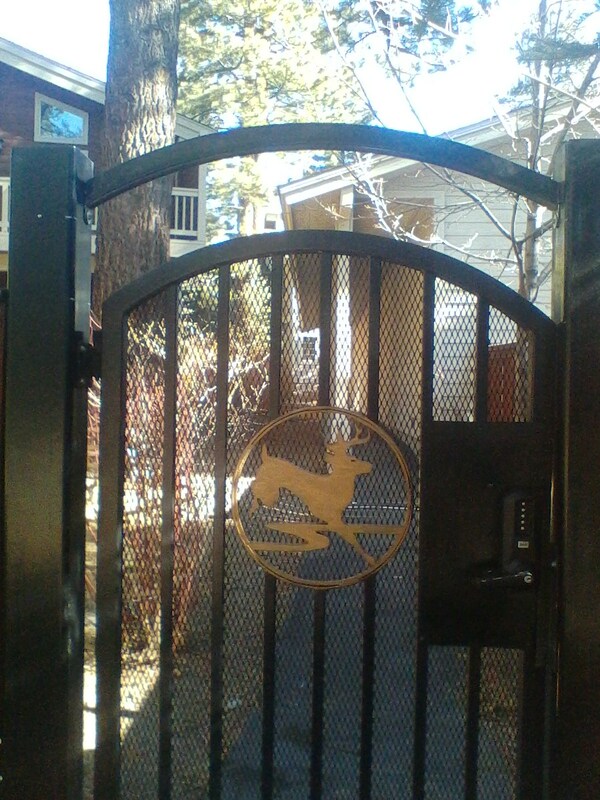 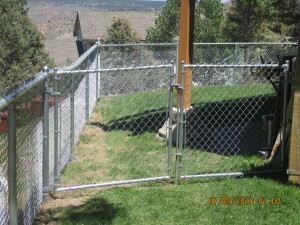 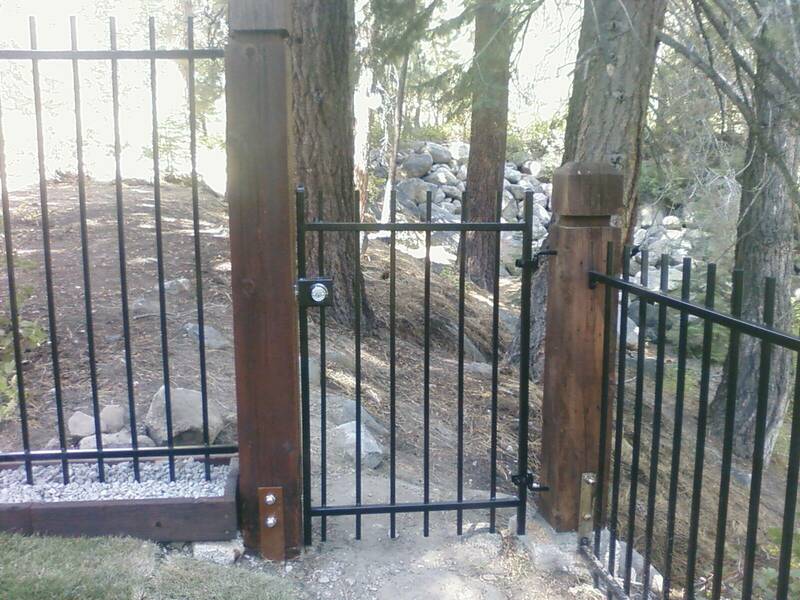 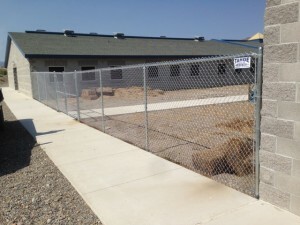 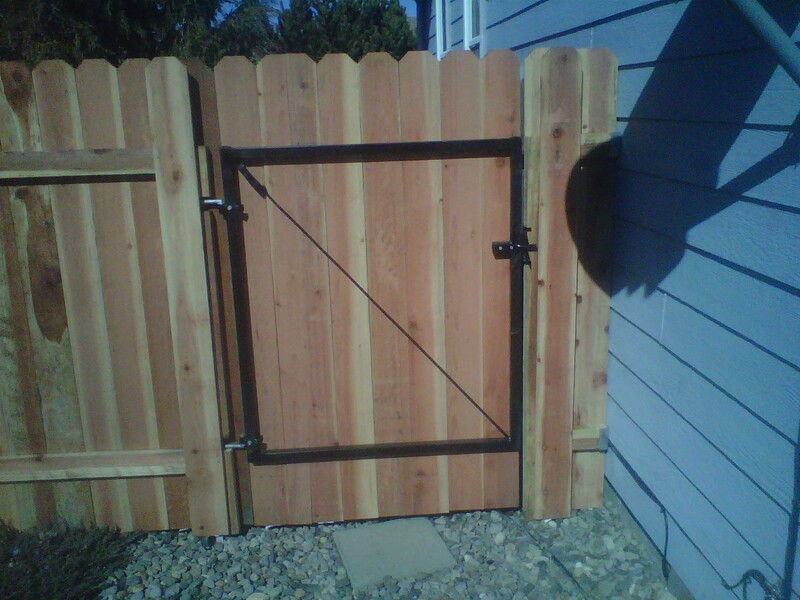 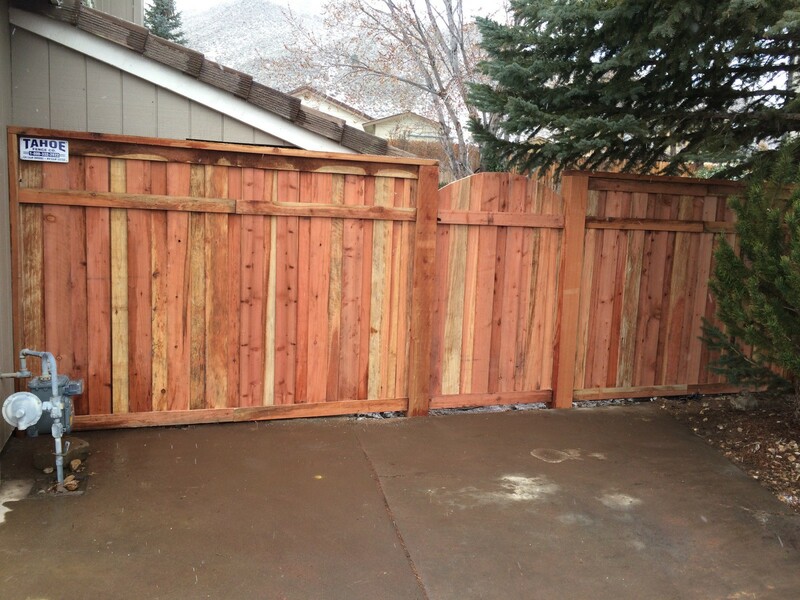 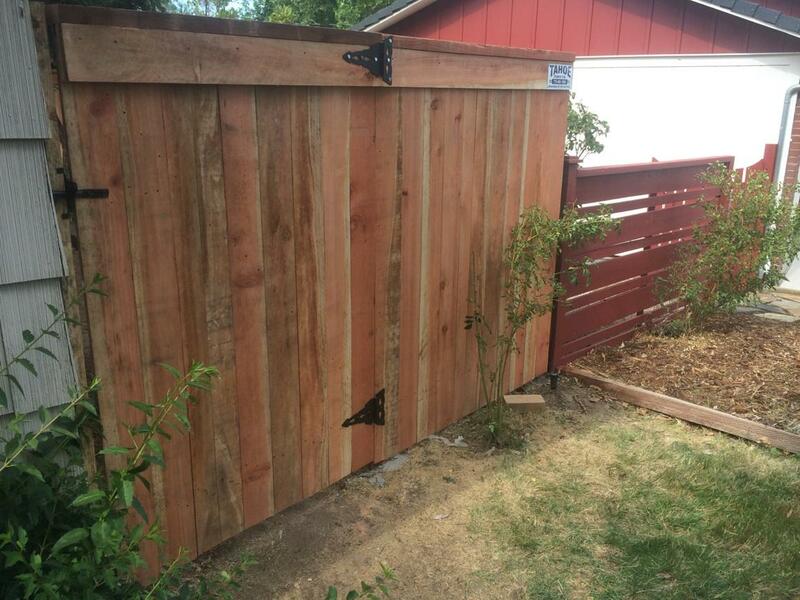 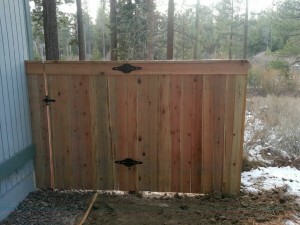 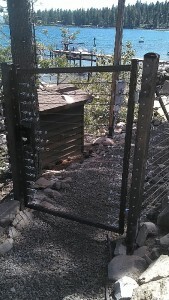 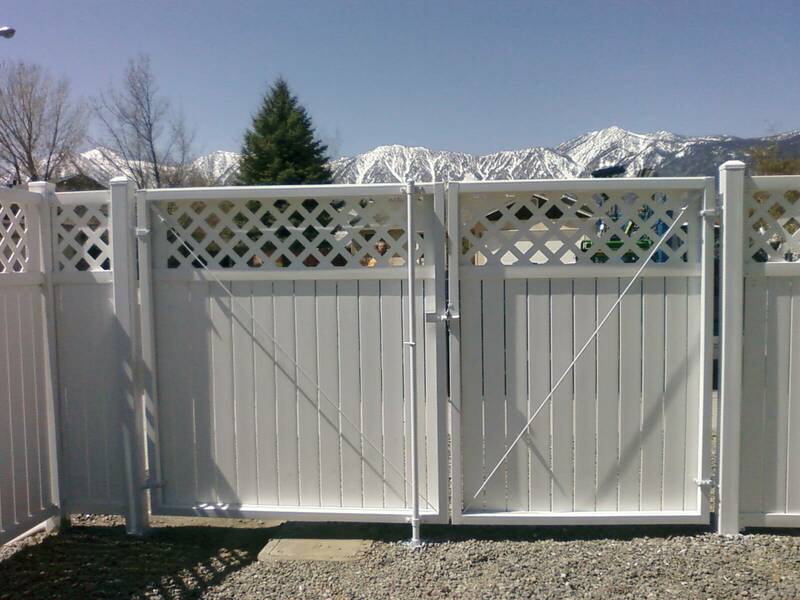 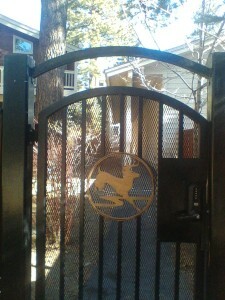 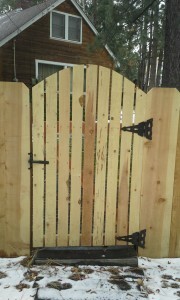 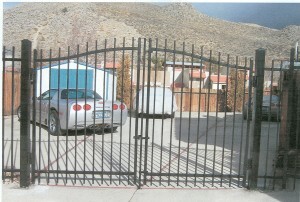 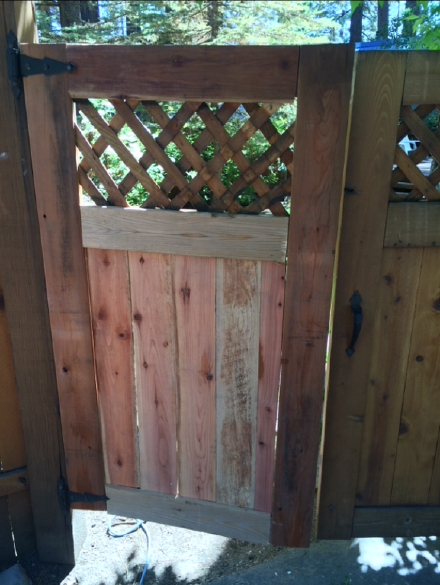 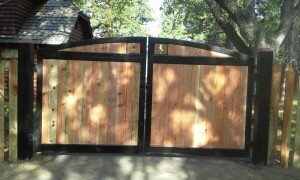 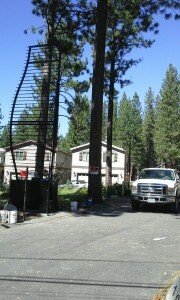 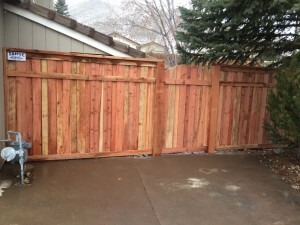 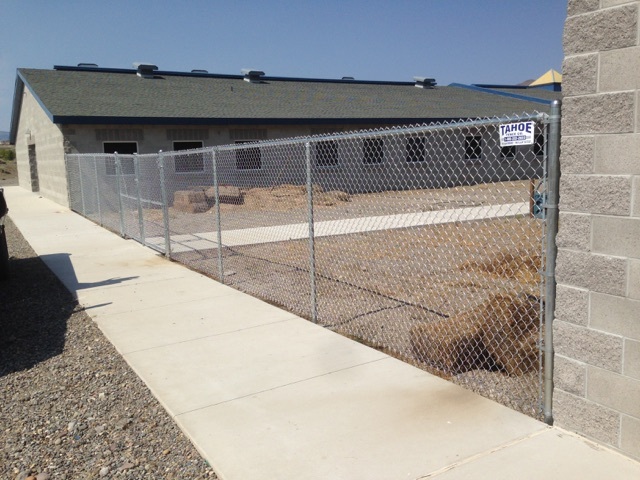 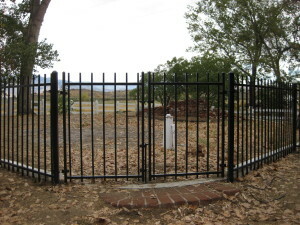 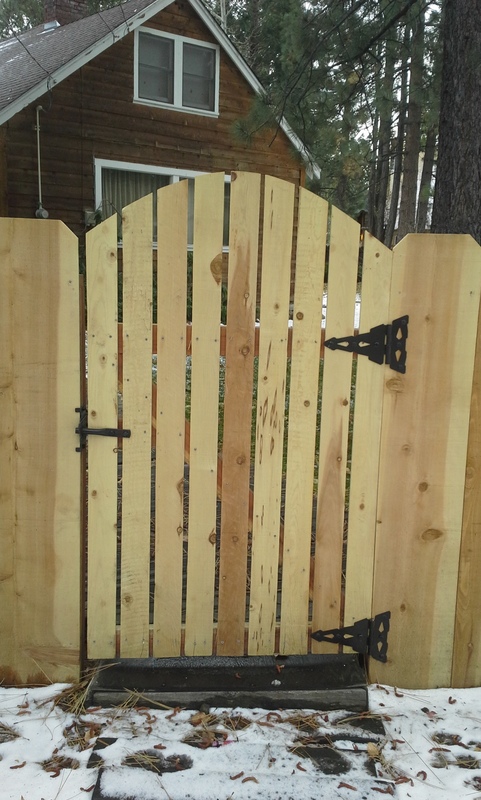 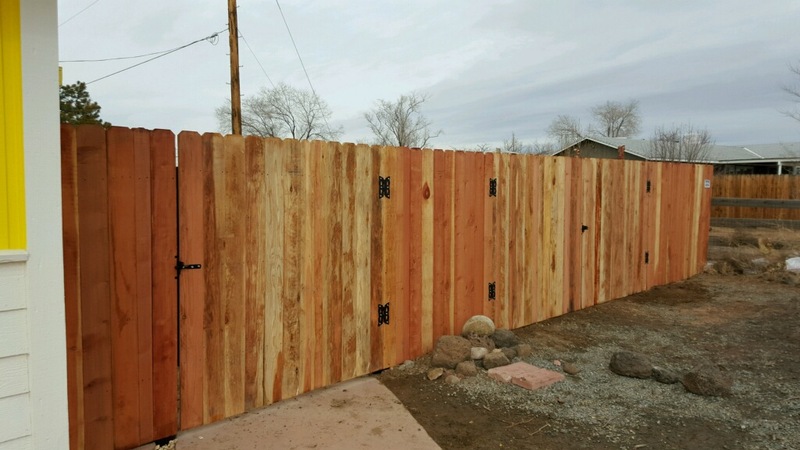 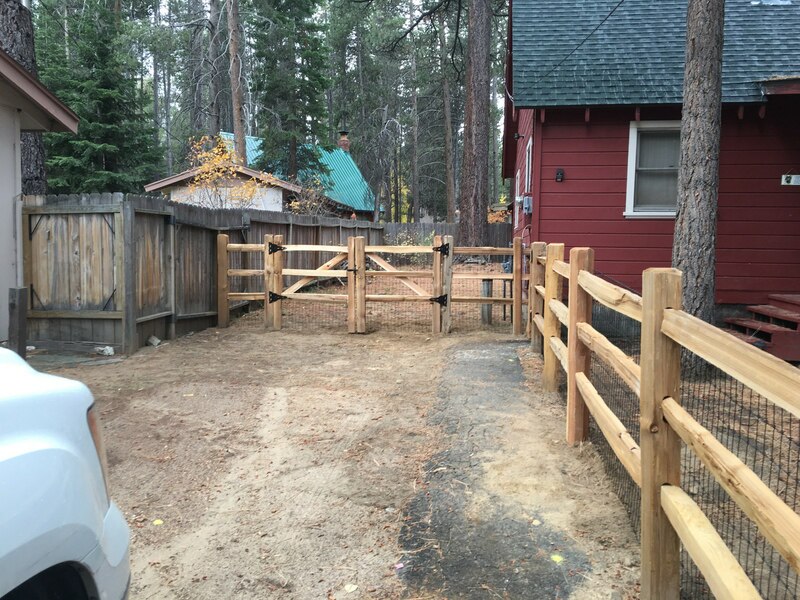 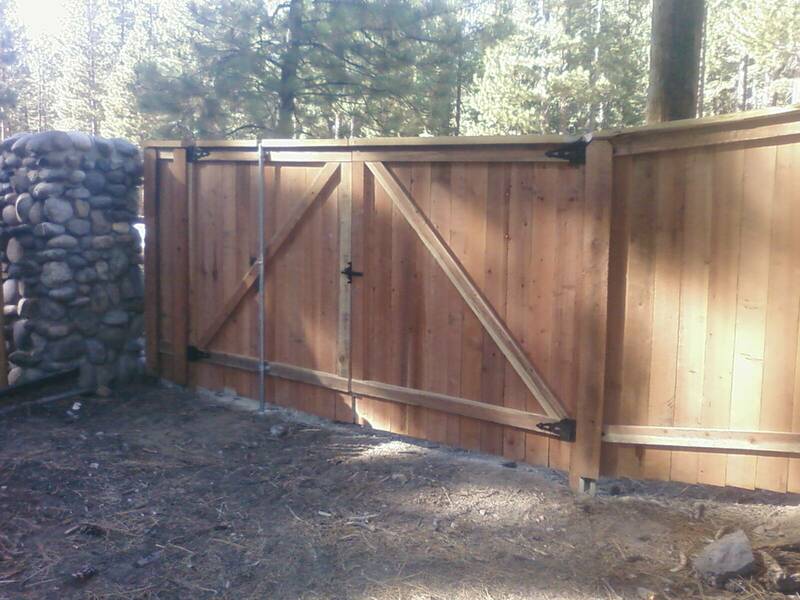 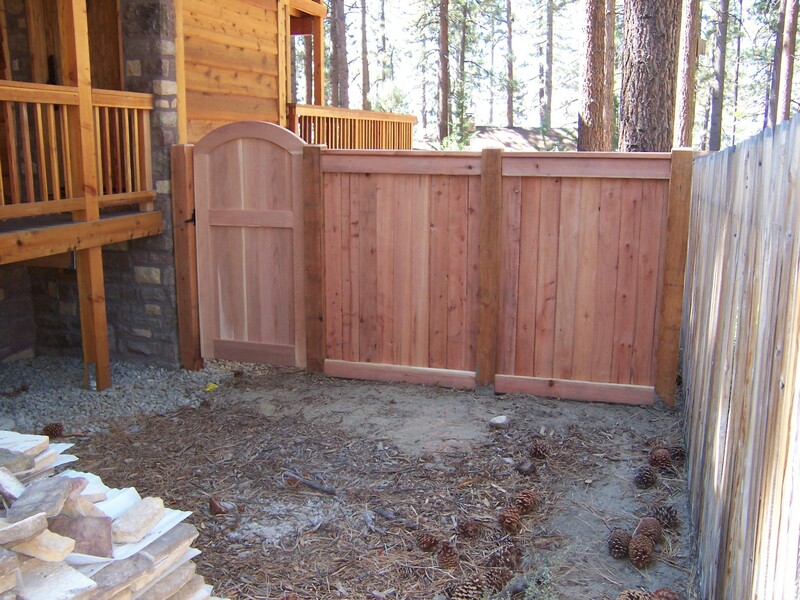 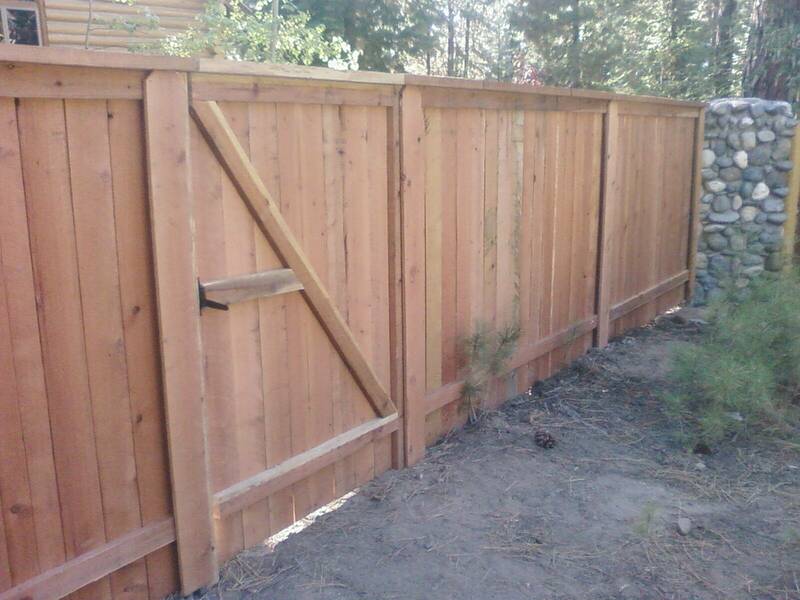 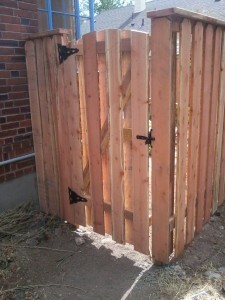 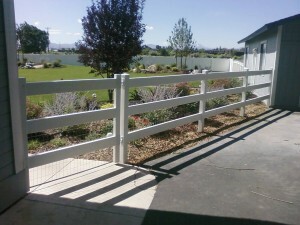 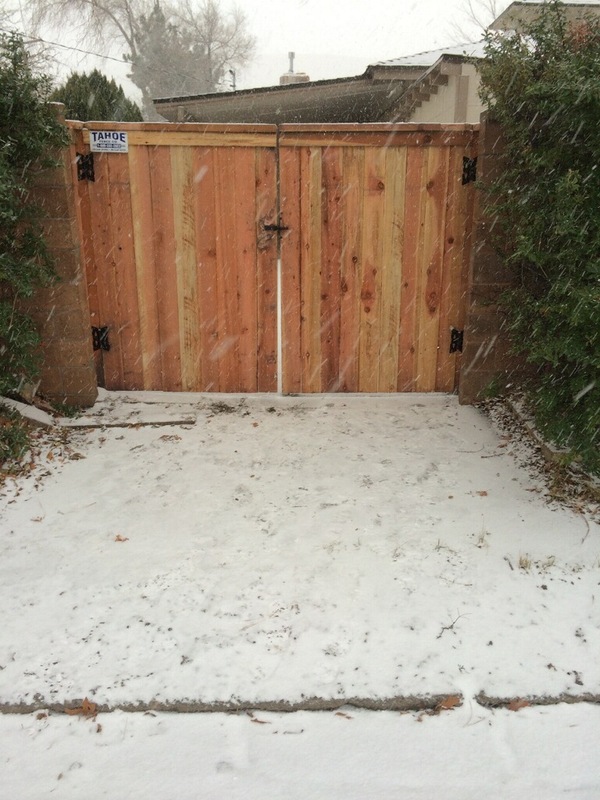 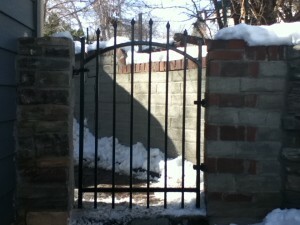 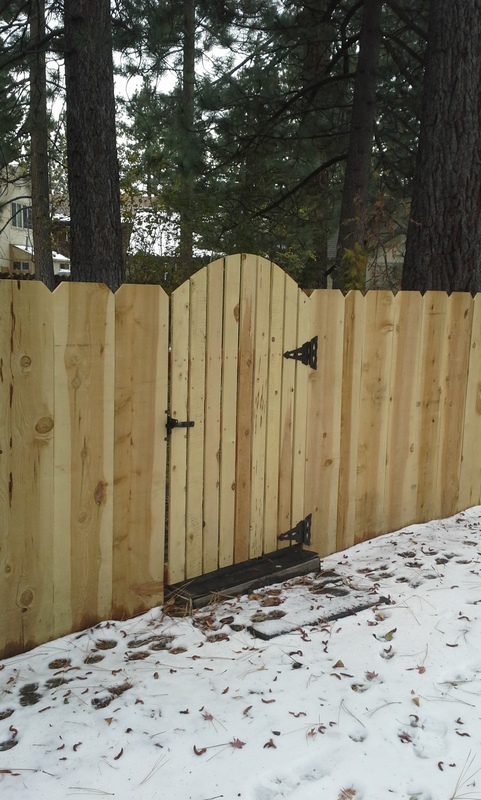 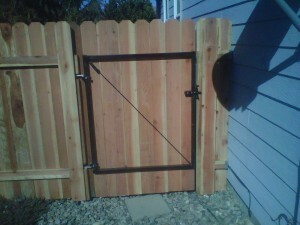 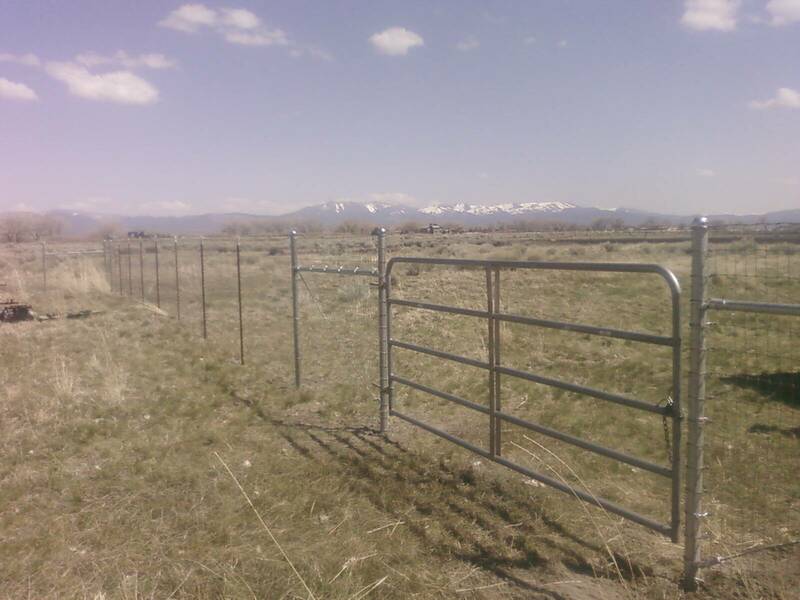 At Tahoe Fence Co., Inc. we do more than just fences, we specialize in gates too. For every type of fence we build for you, we have the gates to match. 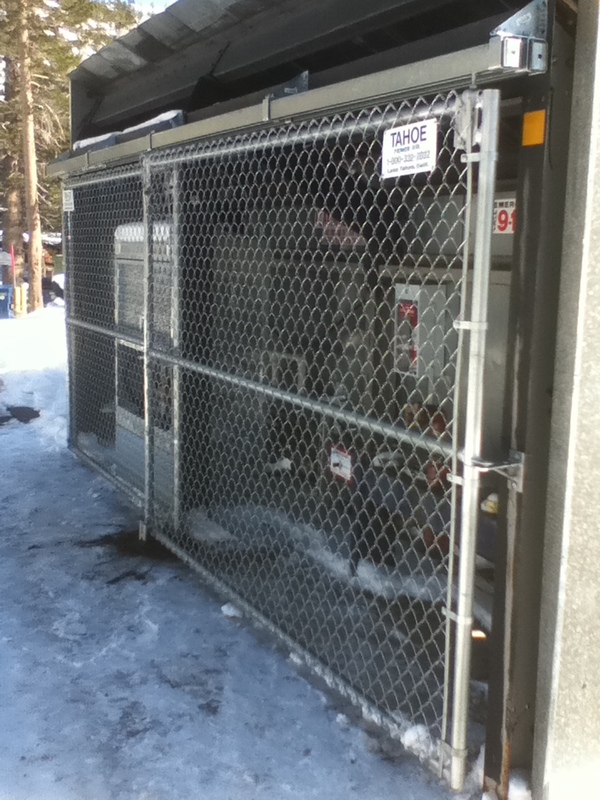 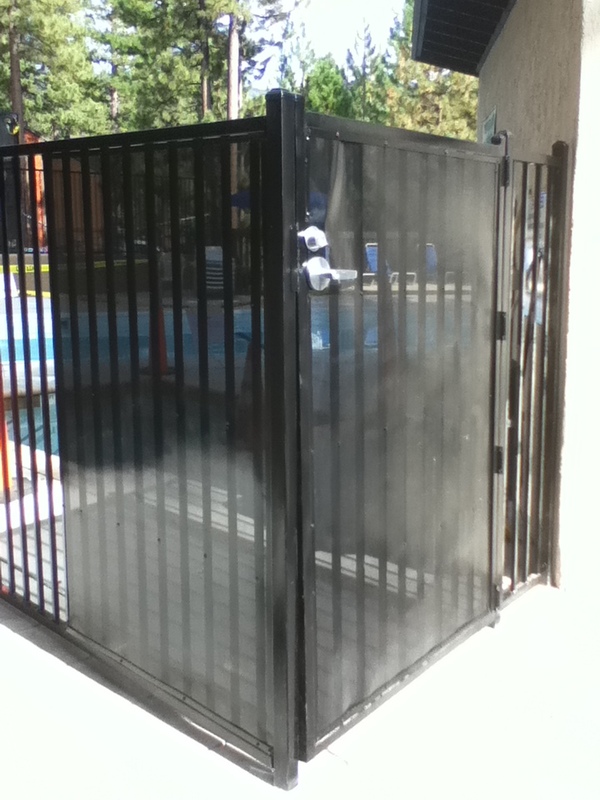 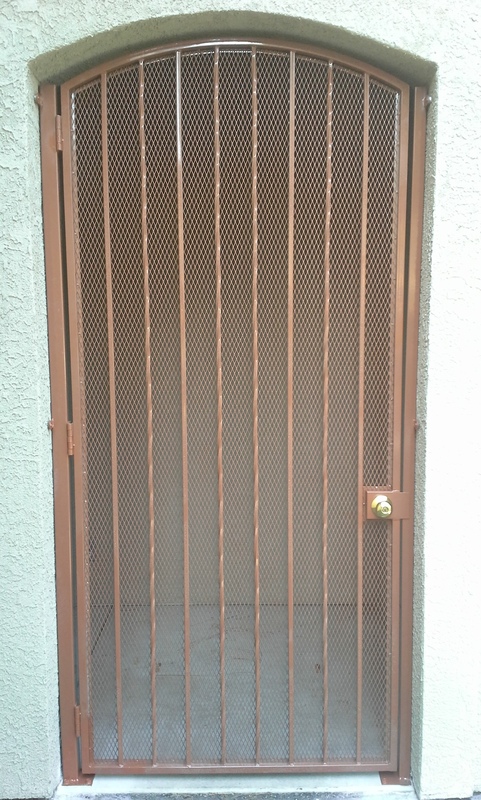 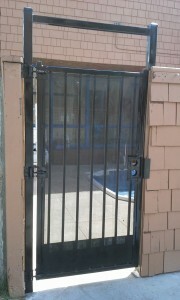 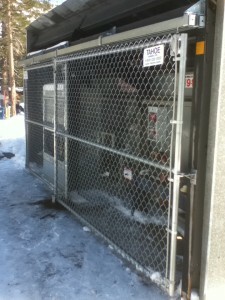 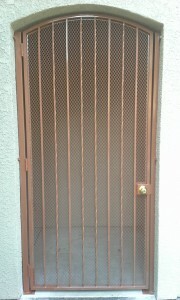 If you need gates that swing, roll, slide, tilt, or lift, we install them. 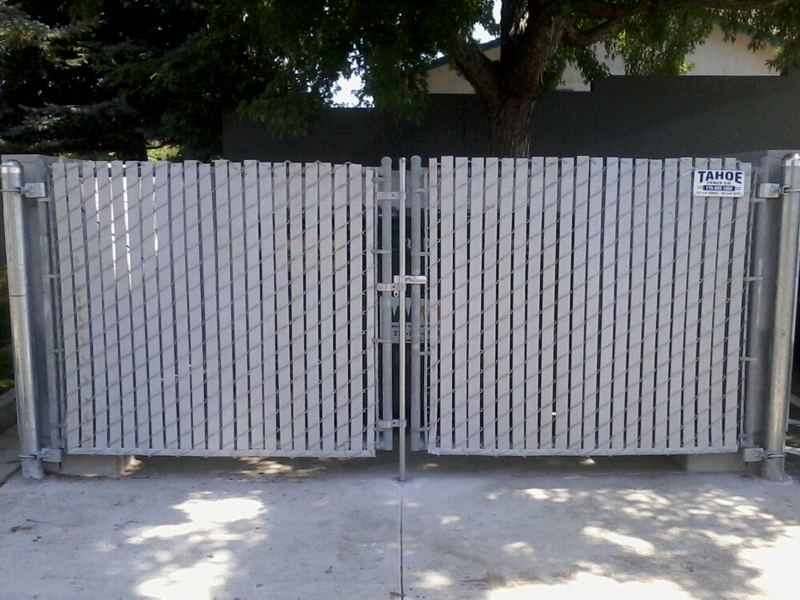 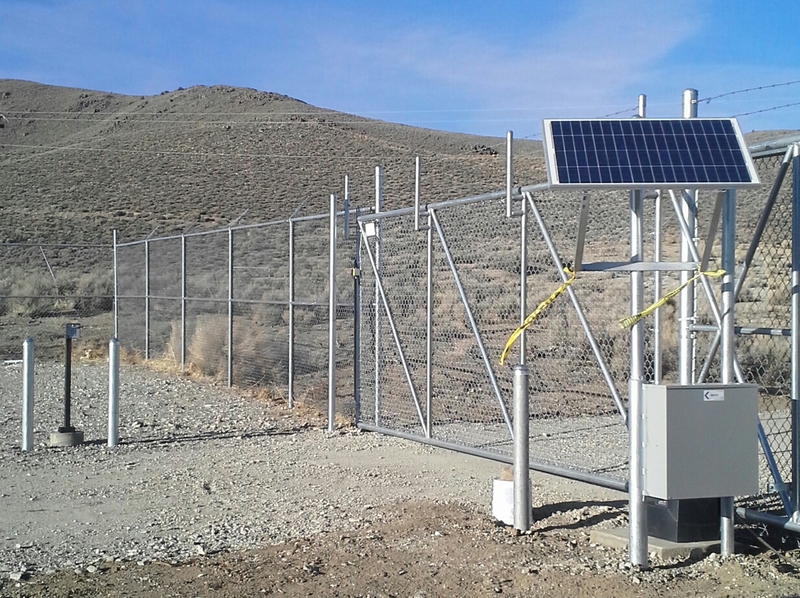 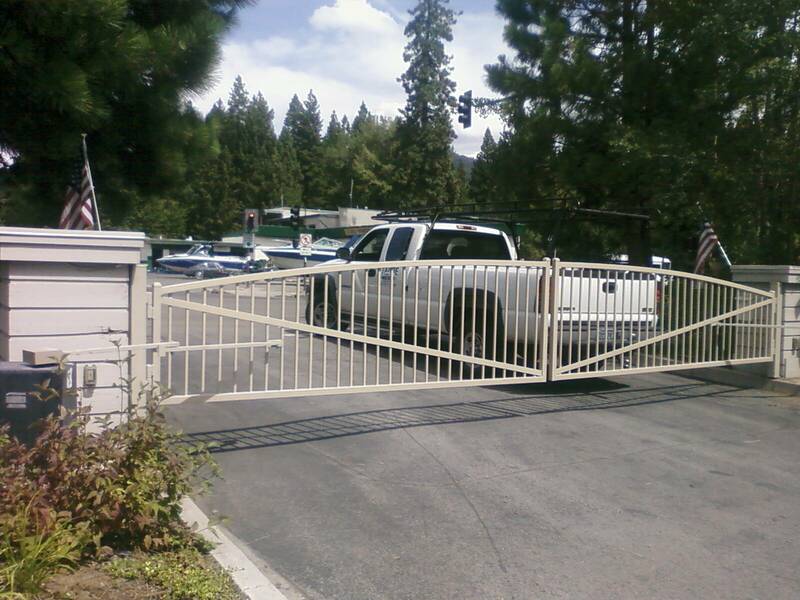 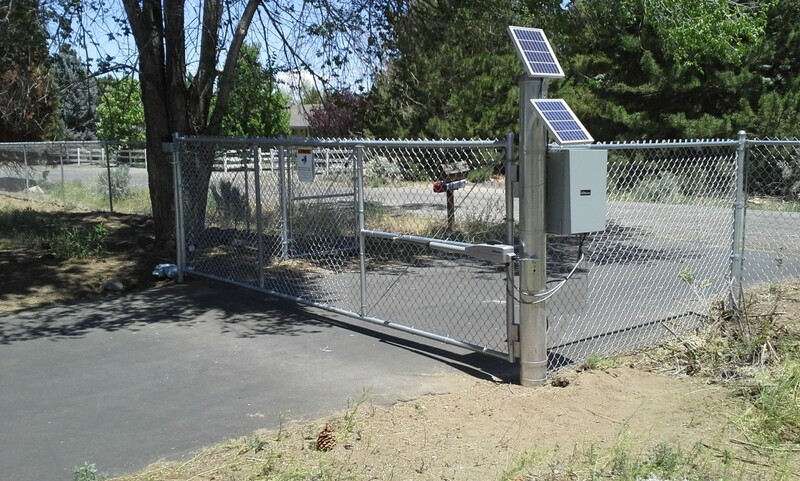 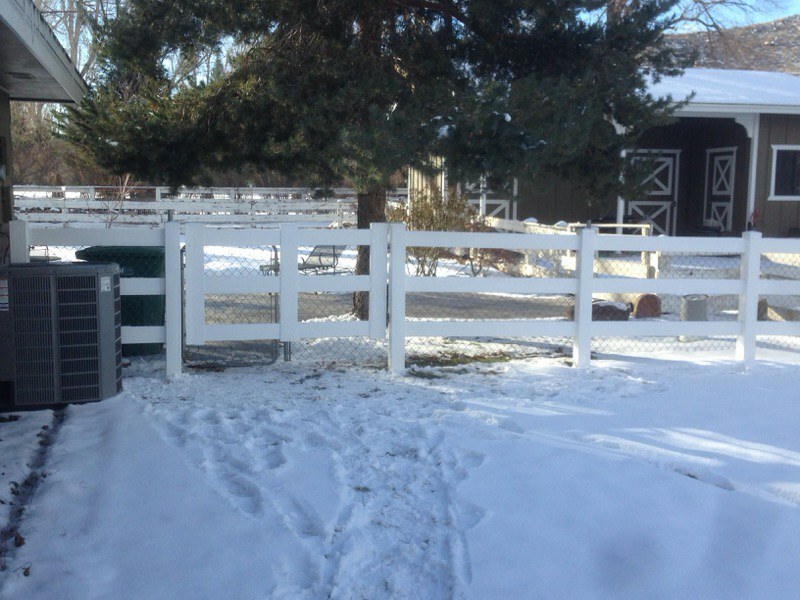 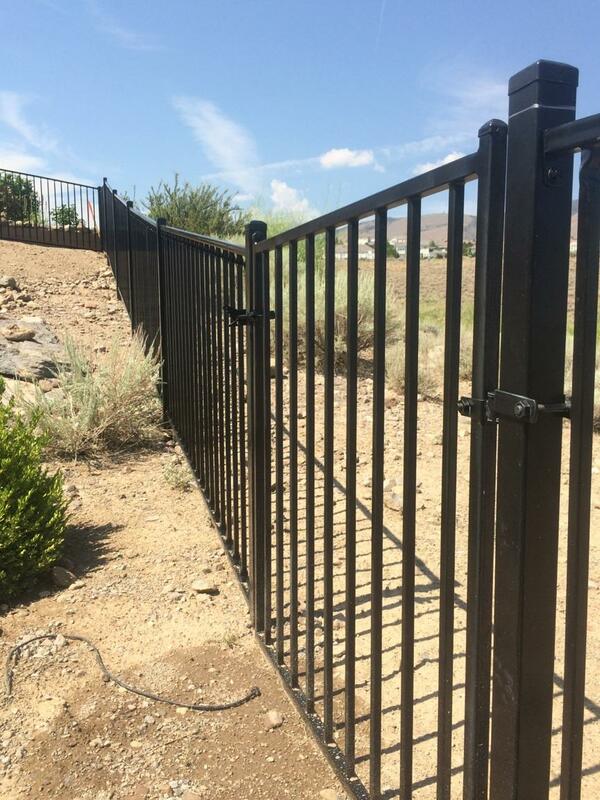 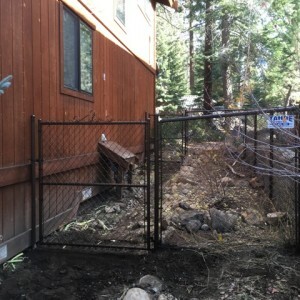 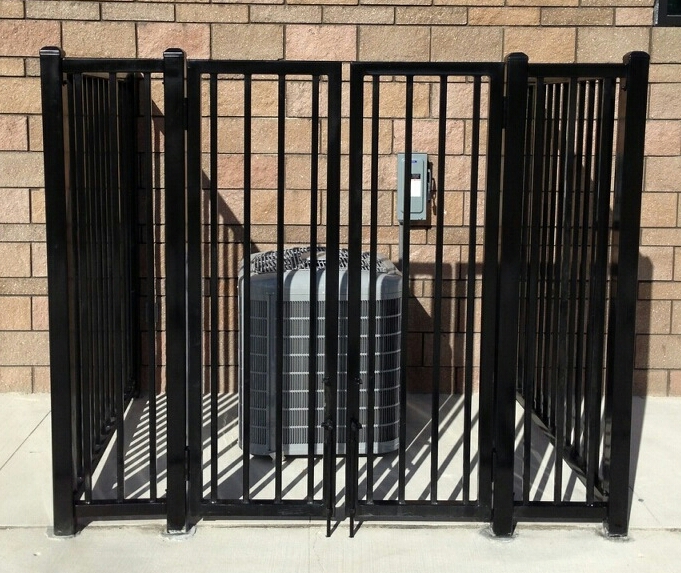 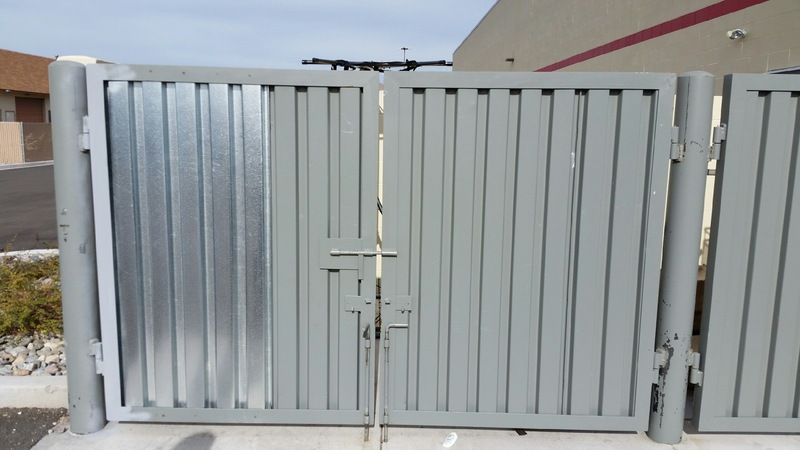 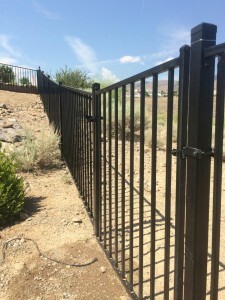 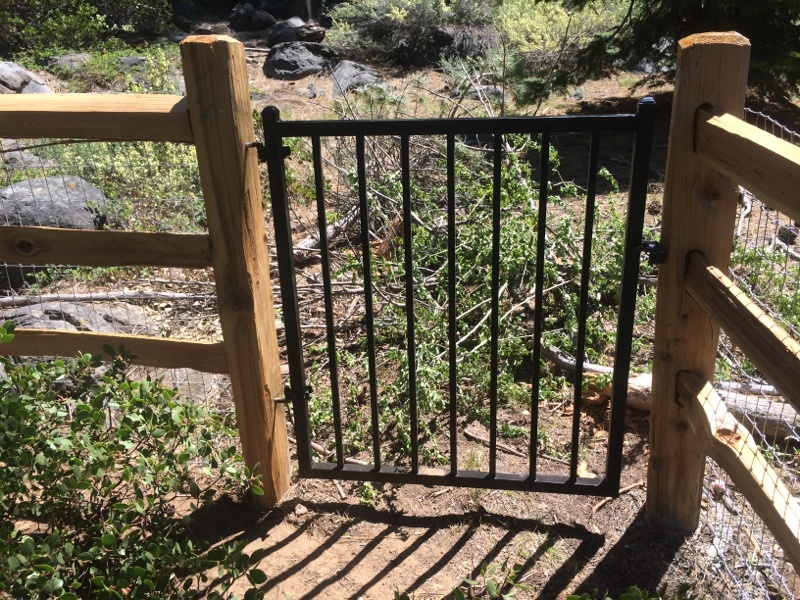 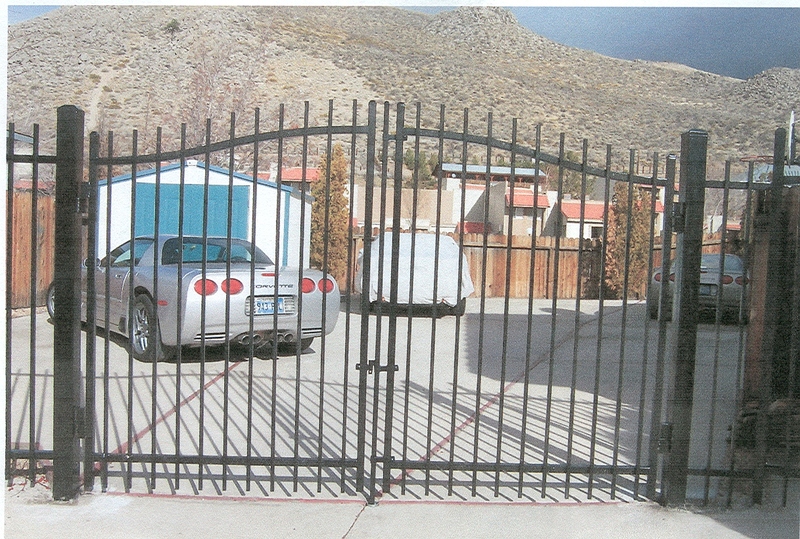 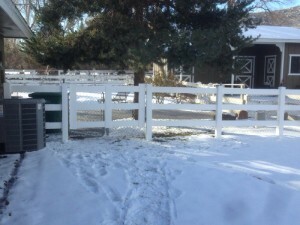 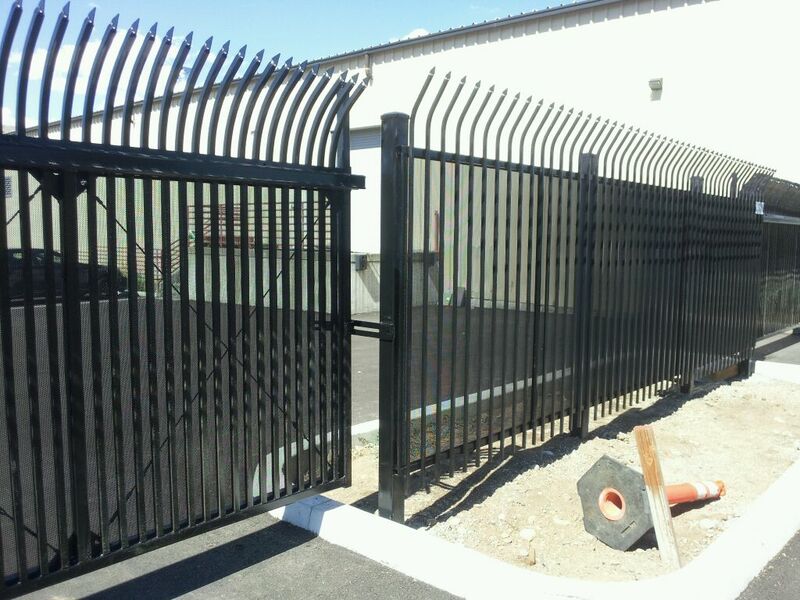 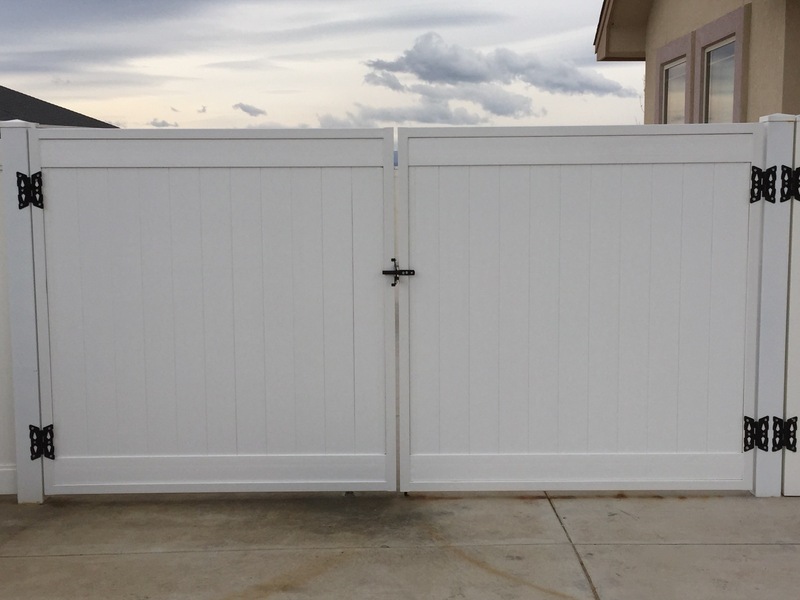 From a garden gate, an estate entry gate, a commercial drive gate, or an industrial automated cantilever gate, Tahoe Fence has the expertise and knowledge to build it. 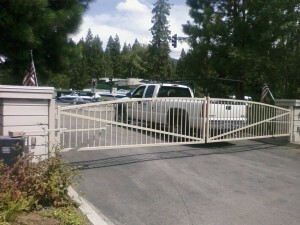 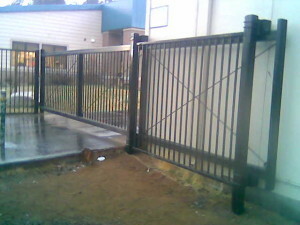 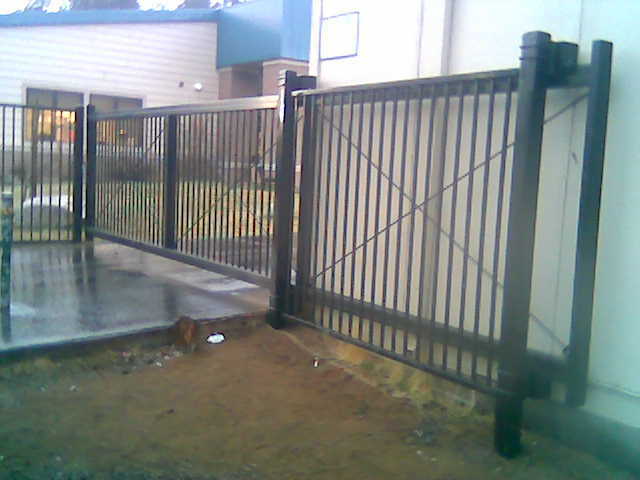 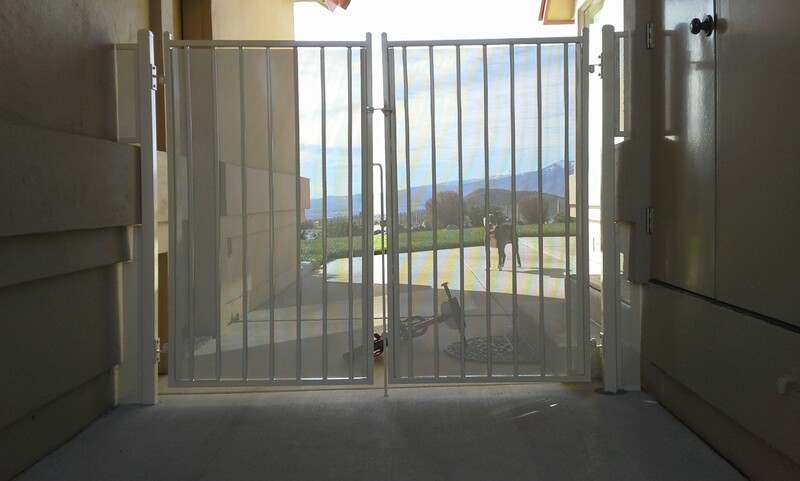 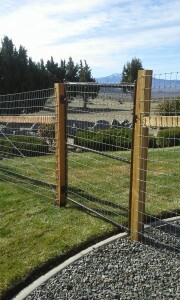 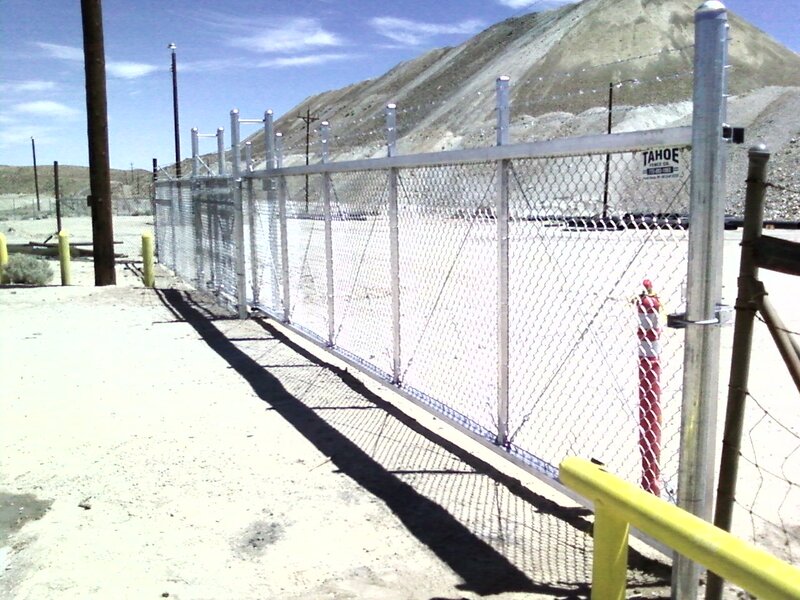 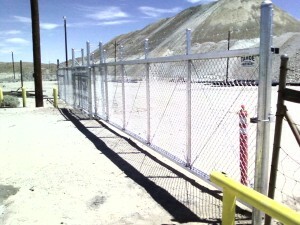 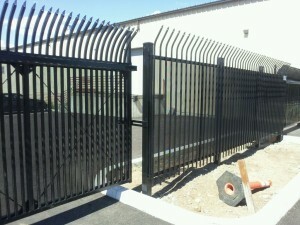 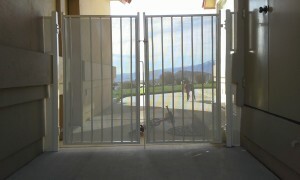 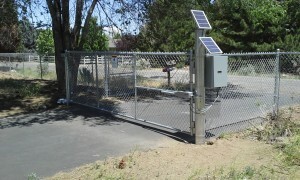 Tahoe Fence is able to manufacture its own gates. 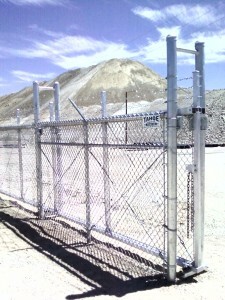 This means we keep a vast stock of gates ready to use. 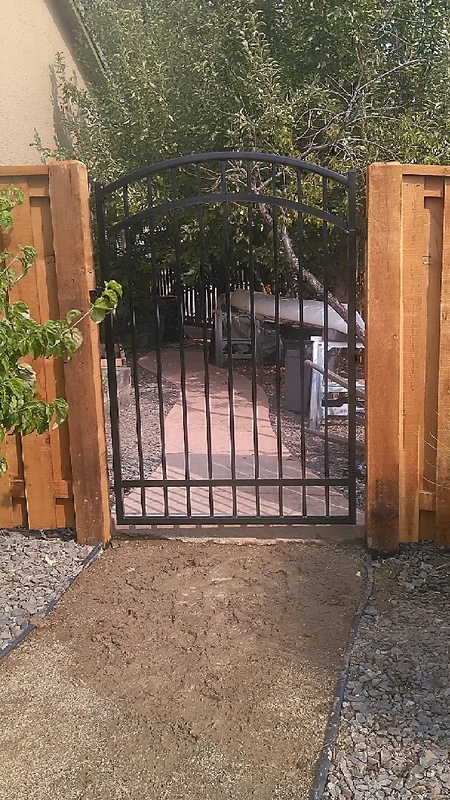 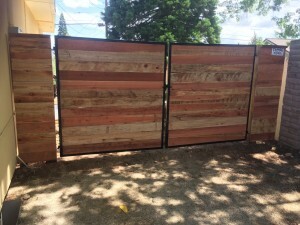 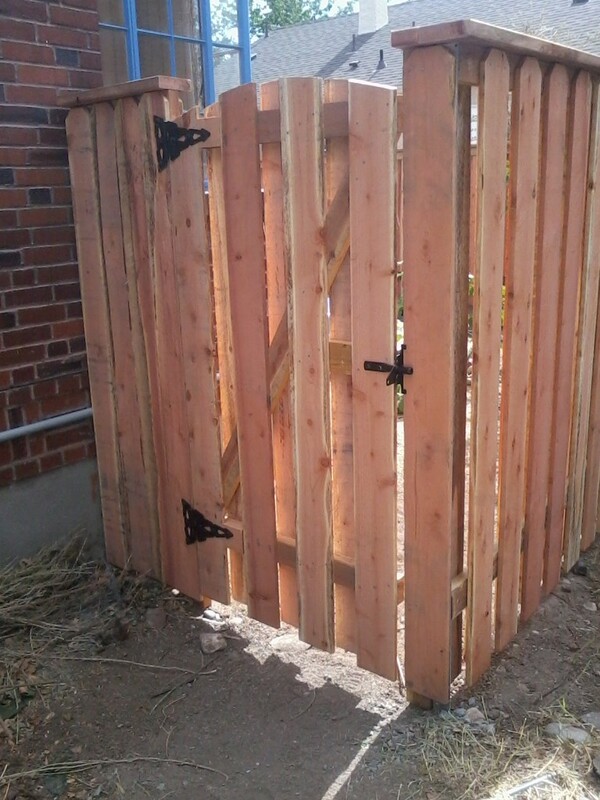 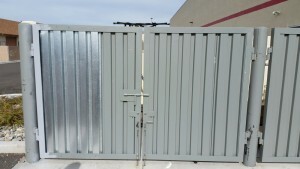 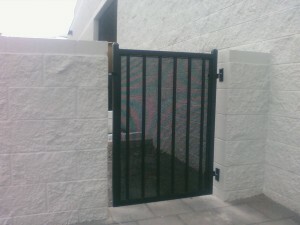 Furthermore, we can create gates to custom fit any unique situations you may have, and are able to build gates to compliment your fence. 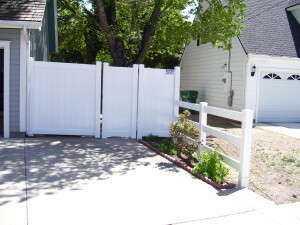 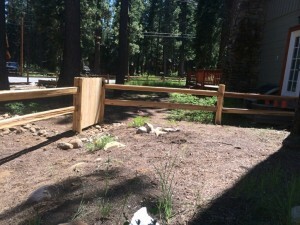 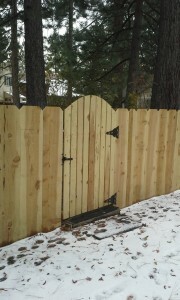 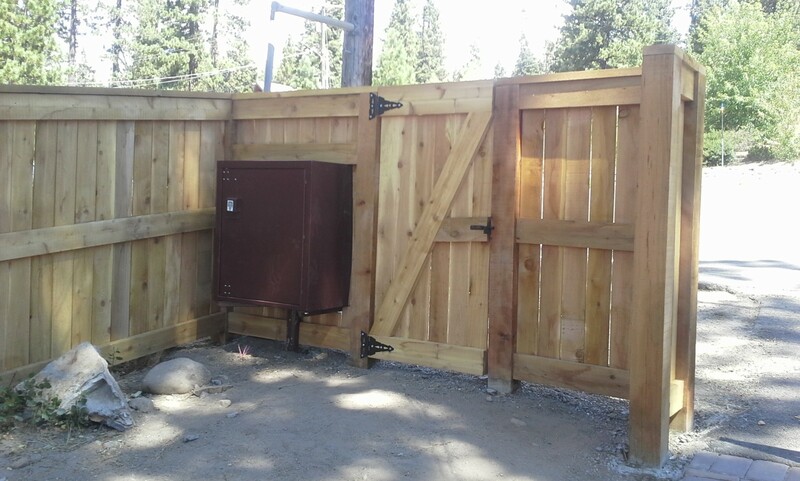 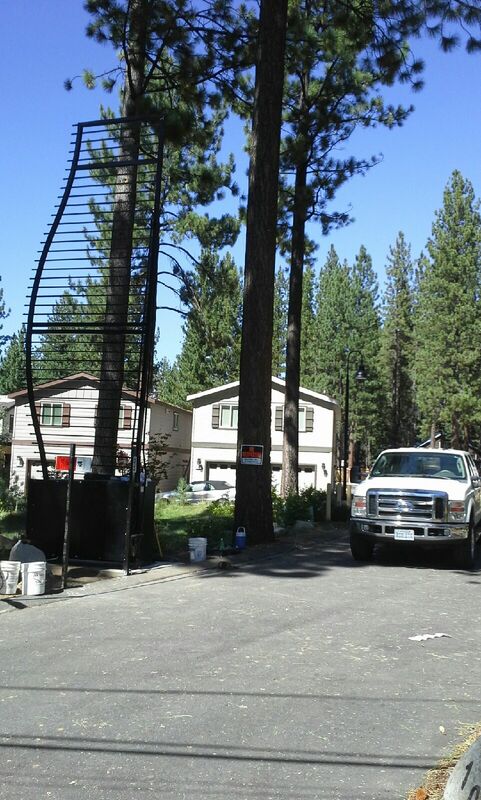 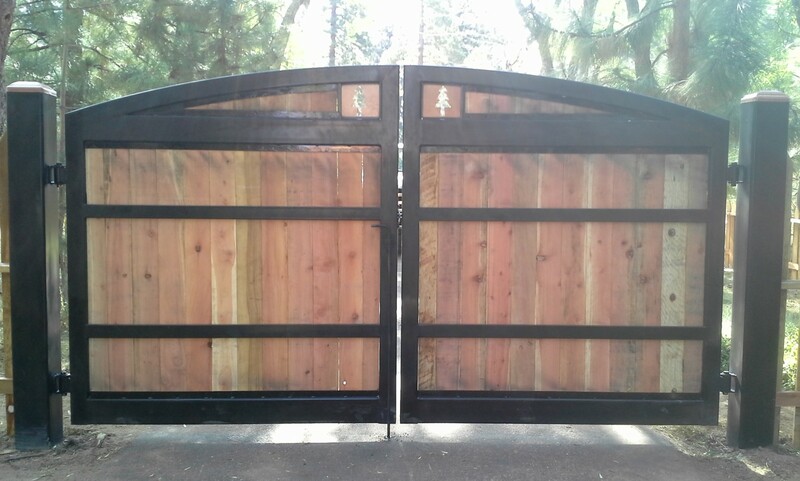 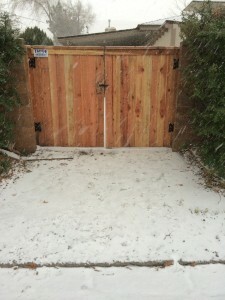 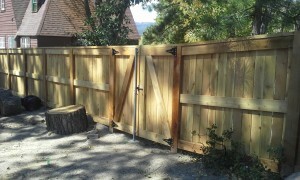 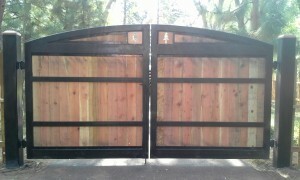 For example, Tahoe Fence makes all of our wood gates on site. This means a matched fit each time for your fence, whether it is a walk gate or a drive gate. 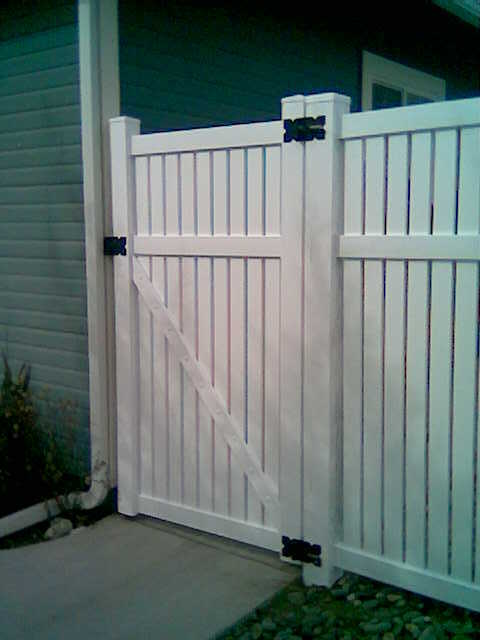 If it is a wood slider or cantilever gate you want, we construct the metal frame at our yard and install all the wood on site. For your swing gates we use heavy, black iron hinges and latch hardware, in addition to galvanized drop rods and receivers for your drive gates. 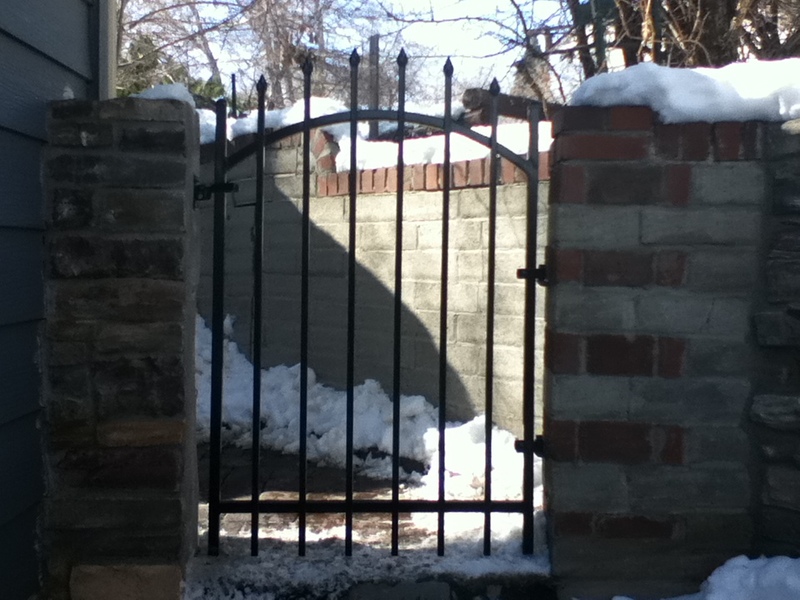 These help to keep your gates from sagging through the winters. 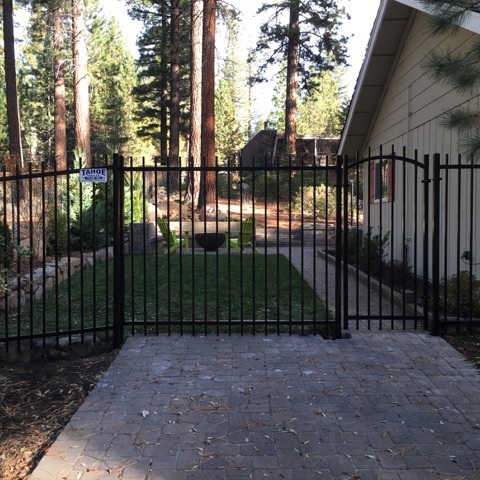 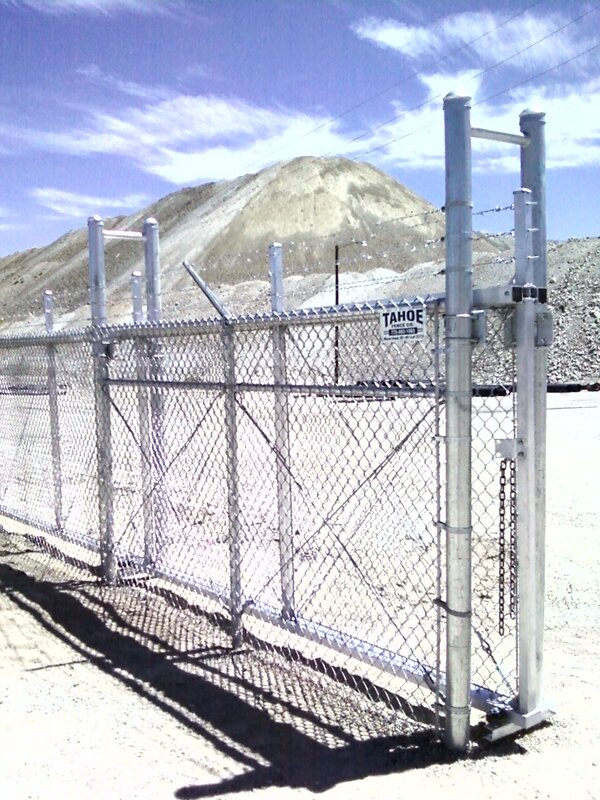 Whether you have a chain link fence, ornamental iron fence, wood fence, or a vinyl (PVC) fence, Tahoe Fence has the gates for you. 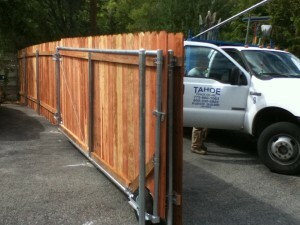 And what we are unable to build, we can order to fit your particular fence needs. 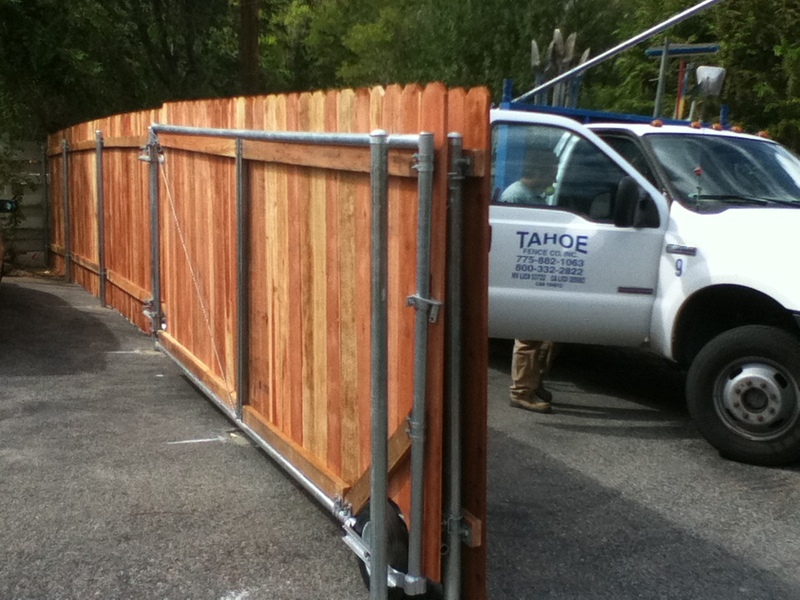 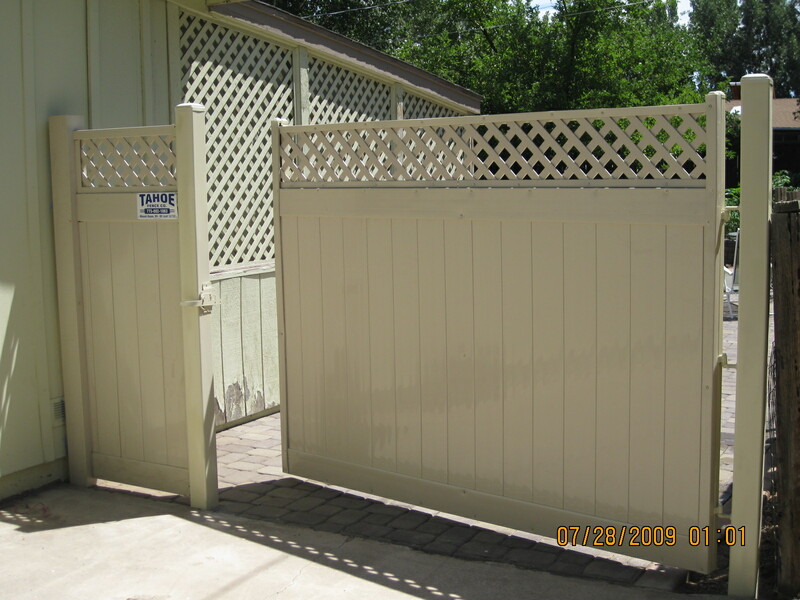 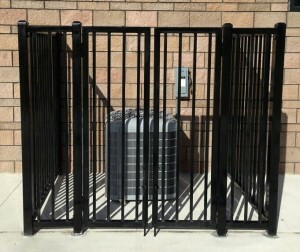 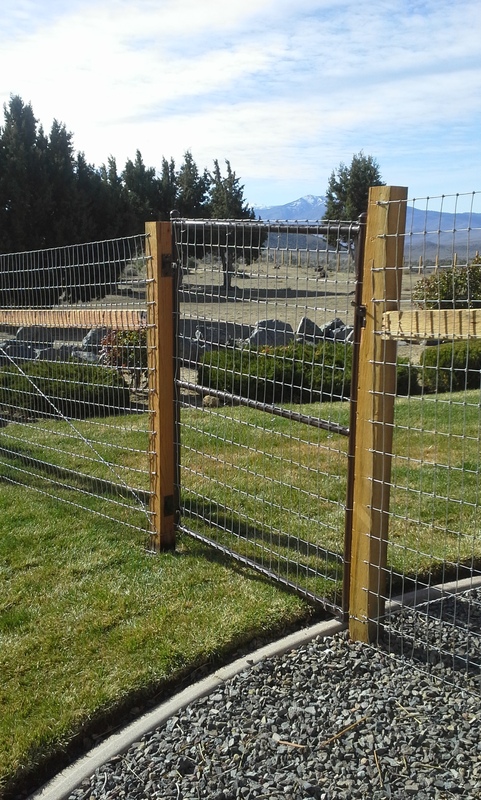 Contact Tahoe Fence today to order a gate for your fence.